Moving is a long process; arranging to put your home on the market and have it scouted by potential buyers. Then comes the hassle of finding a home for you and your family that is in the perfect location, and is affordable. But apart from all the hassle there does come a time when you will need to move home so unfortunately, you will have to go through this stressful process. After doing extensive research, we found that the spring season is actually the best time to put your house on the market and up and move. This is because the blooming spring weather allows your home to look more inviting to potential buyers as well as invite them to go house hunting due to the excellent weather! Although we cannot guarantee this fact, this is generally the way it is so we would recommend selling your house and moving during this period. But no matter when you move house there is always going to be the stress that comes along with it, although how do you know when the correct time to move home is? Fortunately, we have devised a list of the most common occurrences that show it’s time for you and your family to move along to another property. So if you want to find out more – then keep reading! A day that every single parent dreads, their children moving out and leaving home. Your children may leave at different ages, if they go to university, or older when they have saved up enough money. When your children move out, you are going to feel a sense of emptiness both within you, and within your home. Their bedrooms will be unoccupied and left to collect dust, and your home will stay clean without you needing to clean it every day. This could give you the perfect opportunity to downsize your home – obviously leaving enough room for a spare bedroom when your children or guests come to visit. But by downsizing your home you are getting rid of wasted space and making profits from them, this way you can then use the money you have to invest in a goal or dream you have or even invest in home extensions Newport Pagnell with the profits from your previous property. One of the worst scenarios can be having to deal with a troublesome neighbour, I’m sure you’ve seen nightmare neighbours and it’s enough to put you off with communicating with whoever lives next door for the rest of your life! But a troublesome neighbour can be an alarming situation and can even end up with you getting intertwined with the law – so it’s best just to move and avoid someone that you don’t get along with. Just like most people, it’s inevitable that at one point you will most likely want to extend your family which can be challenging to do in a small space. Children and pets need regular exercise so you need a garden and bedrooms for them to sleep in – which may not be possible in the home you are currently in. 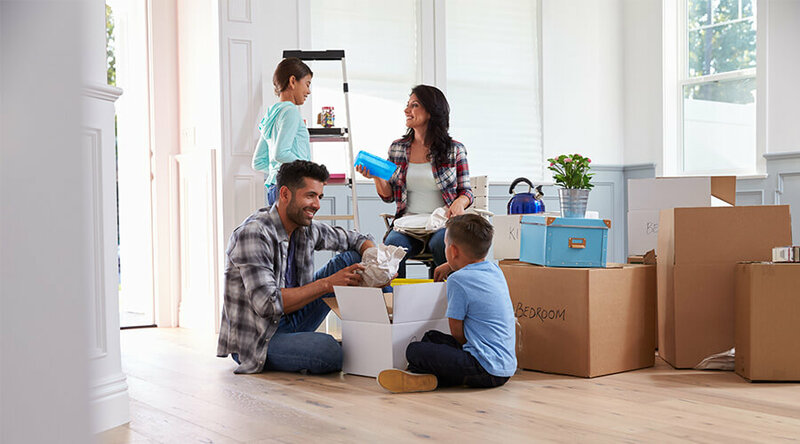 So the only way you can make this possible is by moving home, with a garden and enough room for you to all live comfortably – families expanding and babies on the way are one of the most common reasons that couples move home. Unfortunately, you cannot predict that the business who employs you (or your own business) is going to be successful forever, of course, it can be incredibly successful which leads you to extra money meaning that you want to upgrade your home. But alternatively, you may have a pay cut that means you might have to downsize your home. You shouldn’t have to put the extra burden on yourself or your family just so that you can live in a large home; you can find a smaller one that is more affordable and equally as nice while reducing the amount of pressure and stress put on yourself. Large scale repairs such as roof repairs or complete rebuilding can leave an adverse effect on your bank account – so negative in the fact sometimes it’s just simpler to move house instead of paying extortionate amounts to fix the problems in your home. Of course, issues with your home – especially large-scale ones can affect the resale price. So sometimes in this case instead of moving and downsizing your home, you can kill two birds with one stone and invest in a conversion so that your builders Milton Keynes fix the issue while repairing your home. For example, if you have a leaky roof then why not invest in a loft conversion – that gives you extra space and dramatically increases the resale price of your home. Another one of the most common reasons that people move home is that the neighbourhood they live in is rapidly declining, this could be due to crime rates shooting up, frequent burglaries or even a higher rate of bullying within the area. Most of the time if an area is known for these things being common occurrence then it can decline the price that your house could be resold for. So if you are in this situation, then we recommend that you try and sell your home as soon as possible. It’s vital that within your home you have enough storage space for your belongings both new and old, garages and lofts are convenient places to store childhood memorabilia and items that are not used daily. When you begin to outgrow storage this can become a difficult time – children often have lots of toys and books etc., and it only continues when they get older as the folders, files and textbooks continue to grow as well as the space needed for desks, shelving, and storage units. When this time comes, then you may want to consider moving as it can be difficult to live in comfort with possessions all over the place. Although it is understandable that you may not have the funds to instantaneously collect your belongings and move out, but if you start to recognise any of these signs then we advise that you begin saving in order to move to a different location or property. Budgeting for a new home can be a long process and an expensive one, so it’s vital you take your time to do so and do not rush otherwise you could simply move to another location that is just as bad or not practical for you and your family.